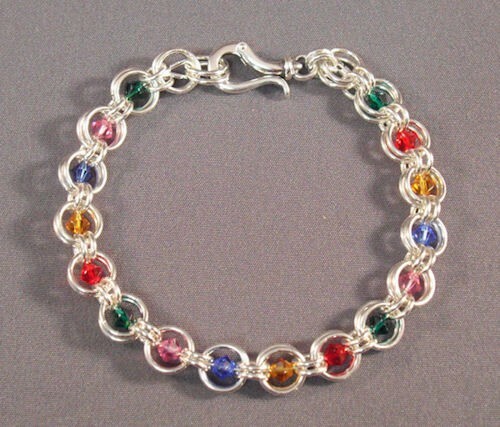 The Crystal Dream Bracelet is a fun bracelet to make and wear. I chose colorful jewel toned crystals for my bracelet. You can make it in one color, shades of colors or any other variation of crystals that you would like. You can even make it with pearls or other small round beads. This is a very comfortable bracelet to wear and you will receive many compliments on it. This is a beginner weave. The clasp and crystals are not included in the kit.